Left: Natural Pine Squirrel Zonker Strips. See a size comparison with a soda can and a quarter. 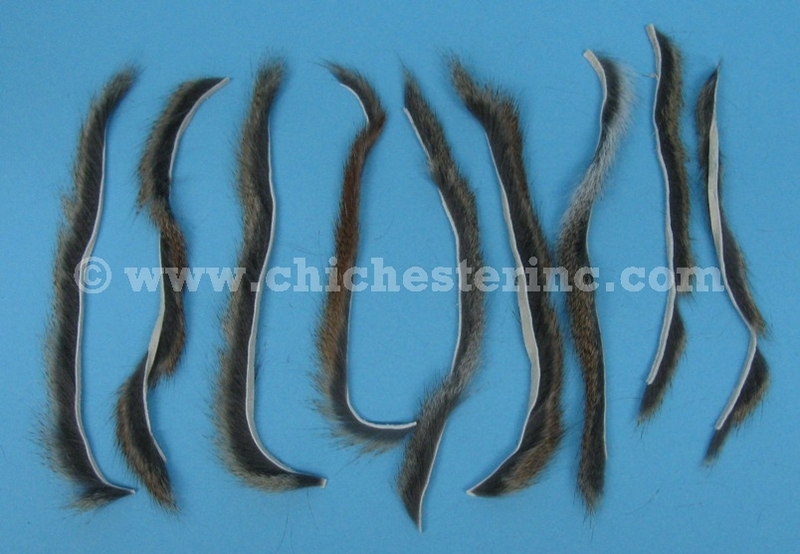 Right: Natural Micro Pine Squirrel Zonker Strips. See a size comparison with a soda can and a quarter. 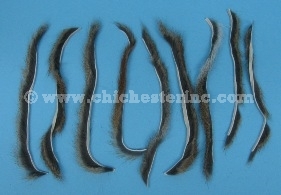 Pine Squirrel Zonkers are cut into 1/8" strips and are excellent for matukas, zonkers, and other streamers. This is the best size to use for tying size 4 to 8 streamers. Each package contains a total of 2 feet of strips. Micro Pine Squirrel Zonkers are cut extra thin for the smallest nymph and streamer patterns. They are ideal for tying mini zonkers. Each package contains a total of 2 feet of strips. We currently have natural colors. We may also be able to get other colors such as: crawdad orange, tan, brown, red, claret, olive, purple, black, sculpin olive, rust, and fl. chartreuse. Please call for details.